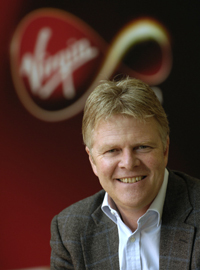 Virgin Media has announced results for the quarter ending March 31st 2013 with revenue up 3.6 per cent to £1.043 billion (€1.23bn) and operating income up 14 per cent to £150 million. Other highlights included cable customer net additions of 8,600, churn fell to 1.1 per cent, the sixth consecutive quarter of year-on-year improvement, triple-play penetration climbed to 65 per cent quad-play penetration up to 16 per cent, and cable ARPU improved 5.2 per cent to £49.38. TiVo customers increased 171,900 to 1.5 million; 40 per cent of the TV base. Superfast broadband customers (30Mb and above) increased 337,900 to 2.5 million; 58 per cent of the cable broadband base. Contract mobile customers increased 35,100 to 1.7 million; 58 per cent of the mobile base. In February, Liberty Global and Virgin Media. announced that they had entered into an agreement, subject to shareholder approvals, pursuant to which Liberty Global will acquire Virgin Media in a stock and cash merger.